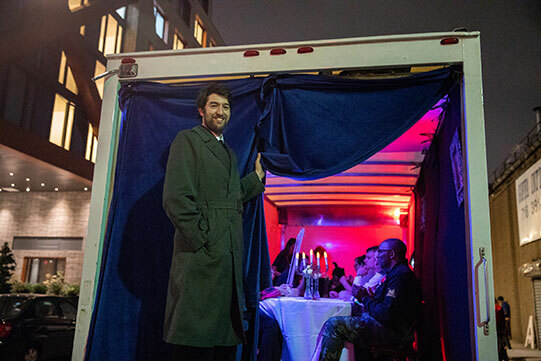 A mystery dinner party in the back of a box truck where the food is the mystery. What are the strange but delicious ingredients our chef keeps putting in her special grilled cheese sandwiches? We need your help, gumshoe! Nearly 300 tasty investigations were facilitated over the course of four hours.